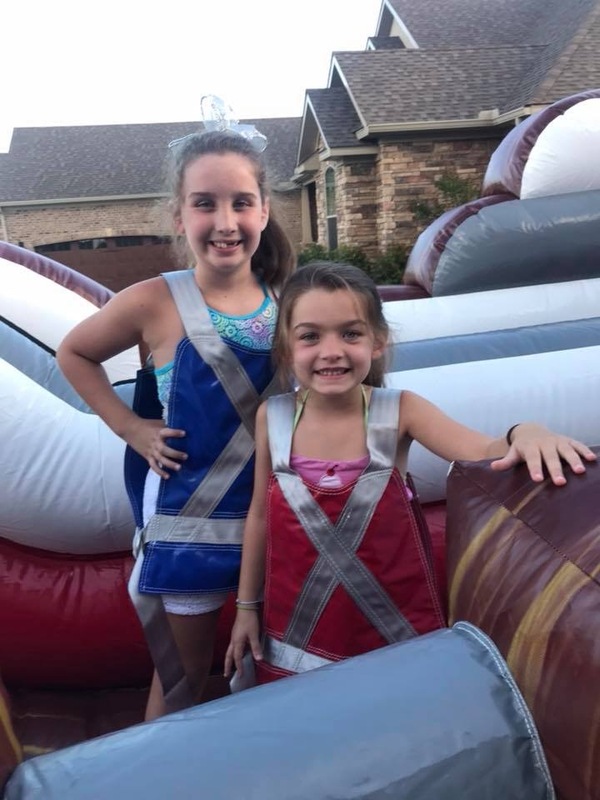 The bungee challenge is a 4 person game that allows players to compete against each other. 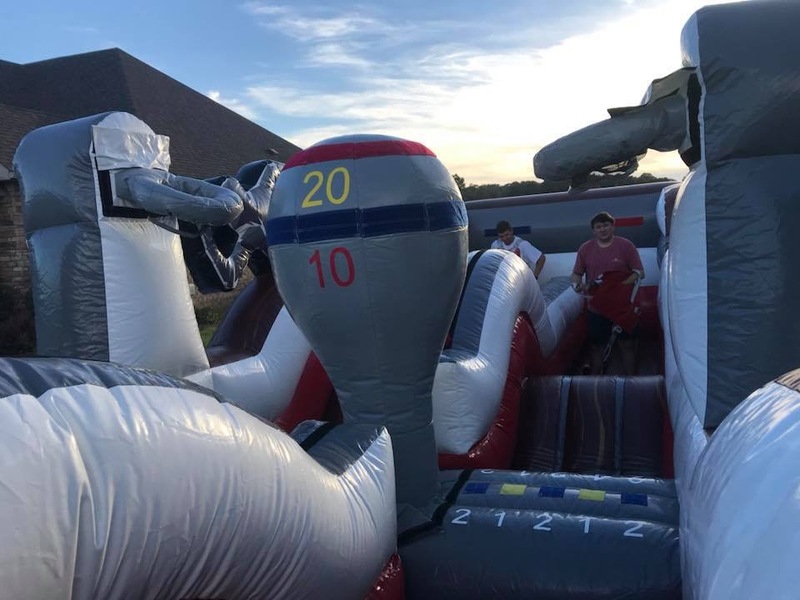 The players are on each end of the inflatable and they have a vest connected the a bungee cord. They then compete with each other to see who can make it the farthest down the inflatable.